Windows Data Recovery Software restores important files deleted due to virus attack, power failure, system fault, human error, software malfunctioning and due to other data loss cases. Software helps you to get back lost data from memory cards, mobile phones, USB drives, digital camera and other similar data storage devices. Easily recover mistakenly deleted pictures, videos, audios, text documents, etc from formatted or corrupted removable media devices. 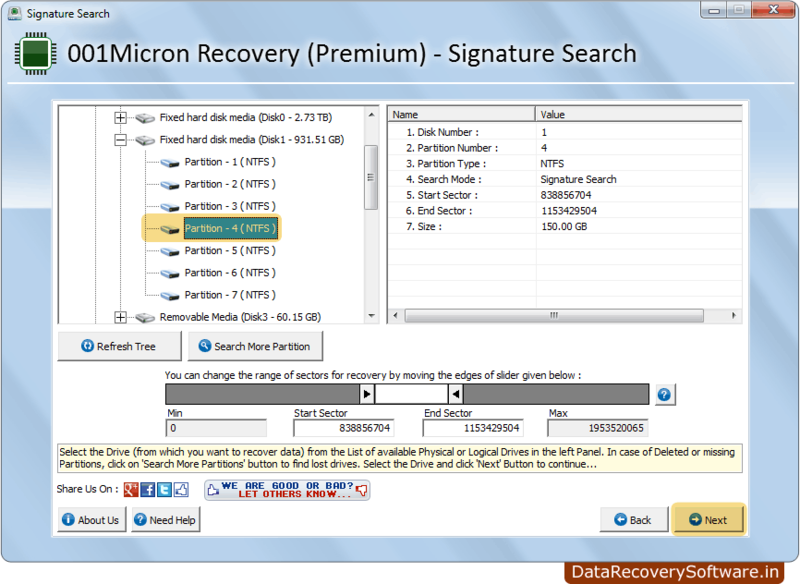 Recovers lost, deleted and corrupted data from accidentally formatted hard disk drive partitions. 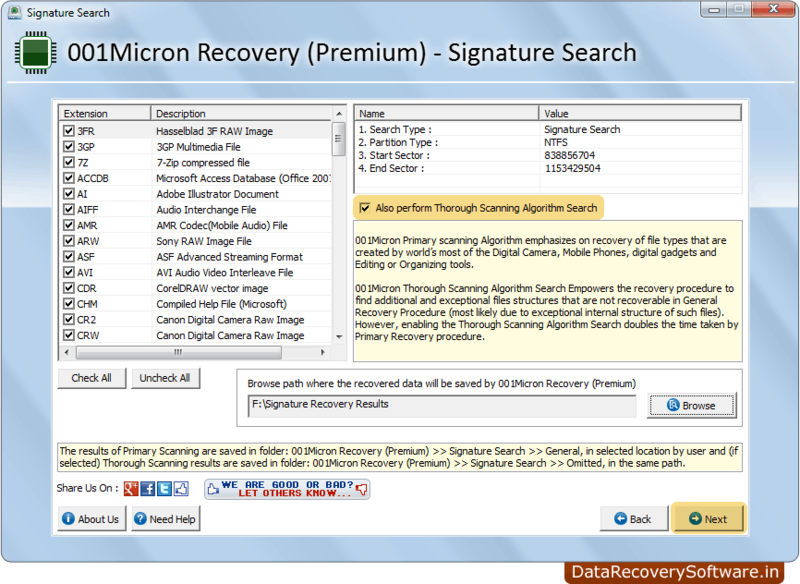 Restore all erased or missing text documents, music, pictures, audio/video files etc. Retrieve files when permanently deleted using Shift+Delete keys or emptied recycle bin folder. Software supports all types of hard disk drives including ATA, SATA, IDE and SCSI etc. 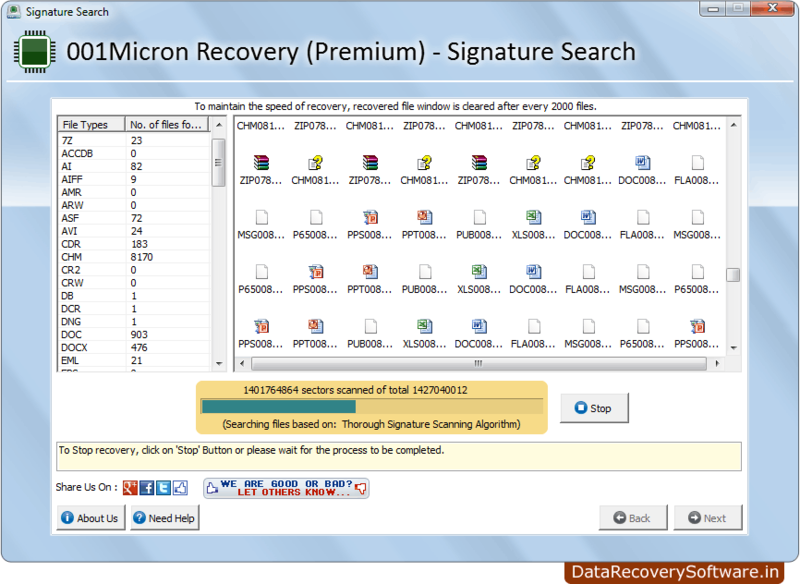 Displays recovered data files in tree structure format after recovery process. 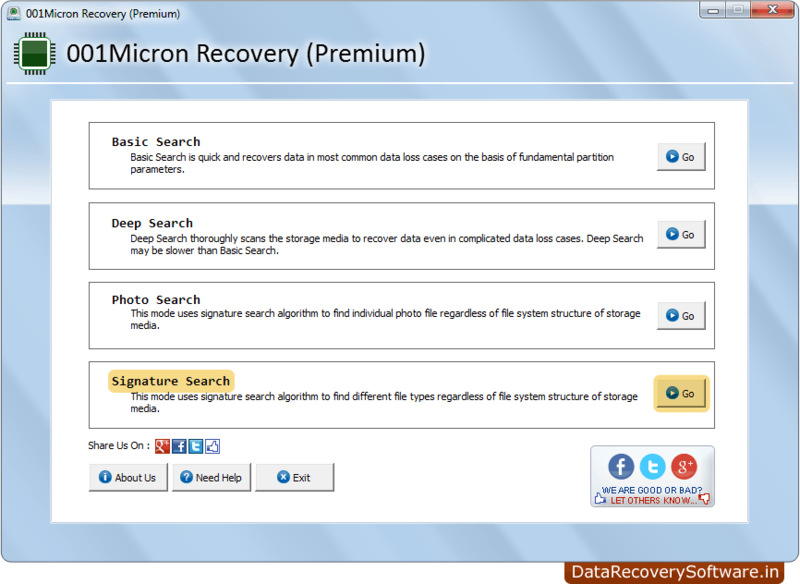 Select any one option among Basic Search, Deep Search, Photo Search and Signature Search. Select the drive from which you want to recover lost data files. Browse the location where you want to save your recovered files. Disk scanning process is going on.